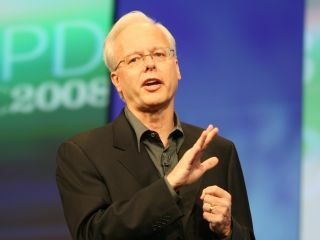 Microsoft's chief software architect Ray Ozzie says that although he has tremendous respect for Apple, the rival company is 'very device focused' with its current closed approach. Ozzie, in an interview with TechRadar, believes the future of technology lies in devices with software and services available in the cloud. "We're heading to a world where many devices are more appliance-like; you don't have to think about what you're going to lose if you drop it," said Ozzie. "If you prefer a different form factor or a different colour you can just buy it and start using it without worrying about how I get my stuff here from there." Ozzie adds that he has "tremendous respect" for Apple but that the Microsoft rival favours "a very device-focused play and a closed system". "Everyone has kind of agreed that even though Apple has its API set when you're writing an app, when you step back you're don't find too many people arguing that for client developer HTML ++++, HTML 5, some future HTML that goes further towards storage isn't the way. "Most people agree that's direction we're headed. But Apple would still rather have you code in different ways for the device and for HTML in the browser." Of course, another of Microsoft's key rivals – Google – is well aligned for the cloud revolution, but Ozzie thinks the internet giant is too HTML focused. "Google says HTML is the answer for both the browser and the device and it doesn't really enhance the device story as much," adds Ozzie. So, Apple is too hardware focused, and Google too browser focused, which means that Microsoft has to tread a very fine line if it is to find the sweet spot between the two.